Mars enthusiasts around the world can participate in NASA’s journey to Mars by adding their names to a silicon microchip headed to the Red Planet aboard NASA’s InSight Mars lander, scheduled to launch next year. The fly-your-name opportunity comes with “frequent flier” points to reflect an individual’s personal participation in NASA’s journey to Mars, which will span multiple missions and multiple decades. 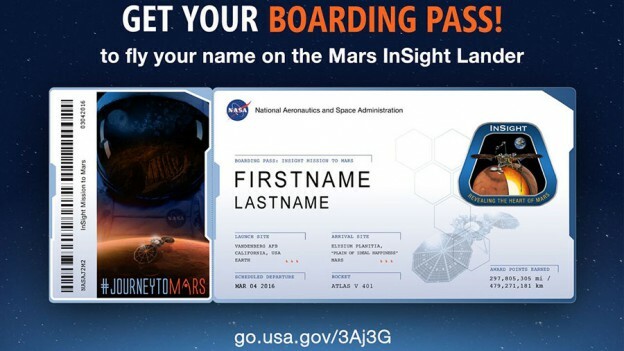 The InSight mission offers the second such opportunity for space exploration fans to collect points by flying their names aboard a NASA mission, with more opportunities to follow. Last December, the names of 1.38 million people flew on a chip aboard the first flight of NASA’s Orion spacecraft, which will carry astronauts to deep space destinations including Mars and an asteroid. After InSight, the next opportunity to earn frequent flier points will be NASA’s Exploration Mission-1, the first planned test flight bringing together the Space Launch System rocket and Orion capsule in preparation for human missions to Mars and beyond. NASA’s countdown to deep space continued Aug. 13 with a 535-second test of its Space Launch System (SLS) RS-25 rocket engine to collect engine performance data at NASA’s Stennis Space Center near Bay St. Louis, Mississippi. On Thursday, Aug. 13, NASA engineers fired up a Space Launch System RS-25 rocket engine at the agency’s Stennis Space Center near Bay St. Louis, Mississippi, in the latest test to collect performance data that will be used to ready the engines for missions to deep space. Orion and the astronauts it carries will fly atop the Space Launch System on missions to an asteroid and eventually on the journey to Mars. 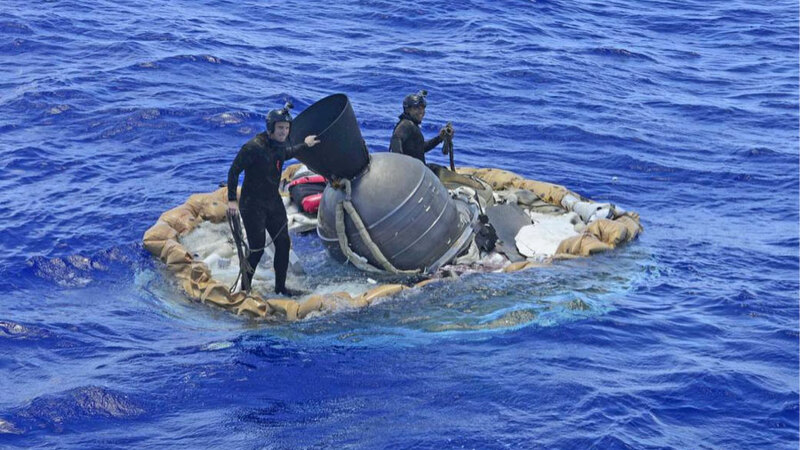 Two members of the U.S. Navy’s Mobile Diving Salvage Unit (MDSU) 1 Explosive Ordnance Detachment work on recovering the test vehicle for NASA’s Low-Density Supersonic Decelerator (LDSD) project. The saucer-shaped LDSD craft splashed down at 11:49 a.m. HST (2:49 PDT/5:49 p.m. EDT) Monday, June 8, 2015, in the Pacific Ocean off the west coast of the Kauai, Hawaii, after a four-hour experimental flight test that investigated new technologies for landing future robotic and human Mars missions. Credit: U.S. Navy. 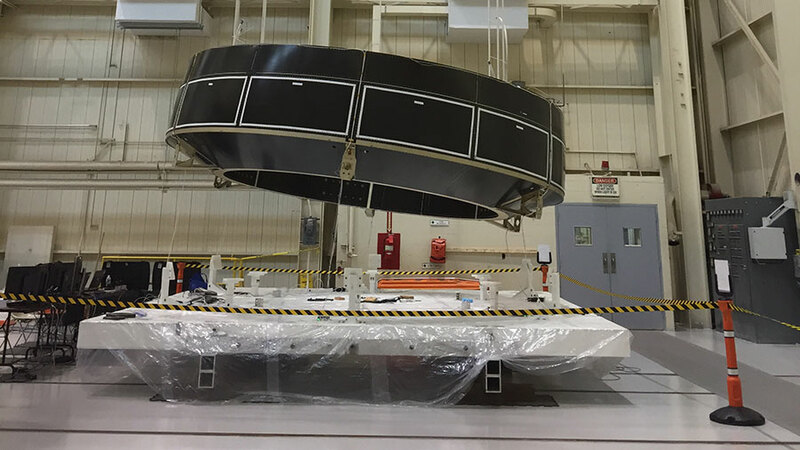 This week, engineers completed the second experimental test flight of NASA’s Low-Density Supersonic Decelerator (LDSD). During the flight, which took place June 8, the team tested two decelerator technologies that could enable larger payloads to land safely on the surface of Mars, and allow access to more of the planet’s surface by assisting landings at higher-altitude sites. The technology is critical to enabling our journey to Mars. Read about the test here. 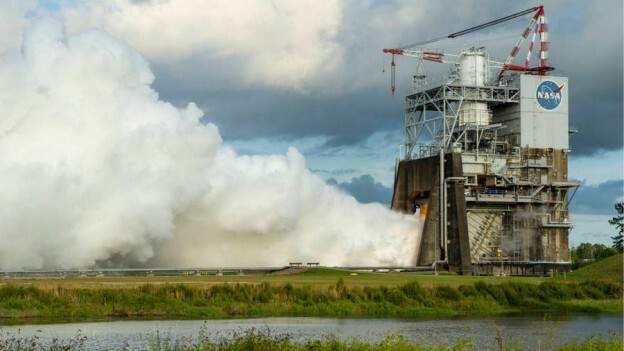 Meanwhile, NASA completed another test June 11 of the RS-25 engine that will power the Space Launch System (SLS) rocket with Orion atop it to space. This is the third firing of an RS-25 development engine on the A-1 test stand at the agency’s Stennis Space Center near Bay St. Louis, Mississippi. Four more test are planned for the current development engine. New video animation also was released this week showing SLS launching Orion to deep space destinations. Check out the smoke and fire! Engineers at the agency’s Stennis Space Center near Bay St. Louis, Mississippi, conducted a successful 450-second test of the RS-25 rocket engine May 28. NASA’s Space Launch System (SLS), which will launch Orion on missions to deep space destinations like an asteroid and on toward Mars marked important steps this week to prepare for journeys beyond Earth orbit. 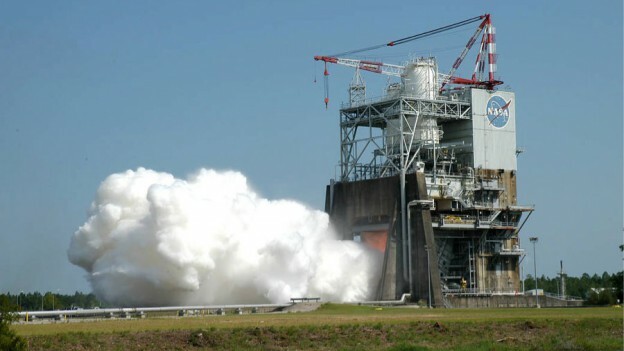 Engineers at the agency’s Stennis Space Center near Bay St. Louis, Mississippi, conducted a successful 450-second test of the RS-25 rocket engine May 28. The hotfire test was conducted on the historic A-1 Test Stand where Apollo Program rocket stages and Space Shuttle Program main engines also were tested. RS-25 engines tested on the stand will power the core stage of NASA’s new rocket with Orion atop it. One of the objectives being evaluated in this test is the new engine controller, or “brain.” The RS-25 is unique among many engines in that it automatically runs through its cycles and programs. The controller monitors the engine conditions and communicates the performance needs. The performance specifications, such as what percentage of thrust is needed and when, are programmed into the controller before the engines are fired. For example, if the engine is required to cycle up to 90 percent thrust, the controller monitors the fuel mixture ratio and regulates the thrust accordingly. It is essential that the controller communicates clearly with the engine; the SLS will be bigger than previous rockets and fly unprecedented missions, and its engines will have to perform in new ways. Engine maker Aerojet Rocketdyne also completed RS-25 Engine 2063 at Stennis, after approximately three months of work. The new engine becomes the 16th assembled RS-25 flight engine in inventory for SLS flights. The engine will be one of four RS-25s used to power Exploration Mission 2, the second SLS launch with Orion targeted for the 2021 time frame. Testing of these four engines will begin later this year as work accelerates on NASA’s newest launch vehicle. Four previously-flown RS-25s will be attached to the first SLS core stage and test fired together as a stage before being approved for the first SLS launch planned for 2018, the first integrated mission with Orion. Check out more, including a timelapse video of the assembly here.